Sister Mary Sean Hodges, who wears a long flowered dress in lieu of a habit, paces in front of three men serving life sentences at the state prison in Lancaster. An enclosed catwalk with gun slots for the guards hovers above them in the dingy gym. Printed on the walls, in bright red letters, is the admonition NO WARNING SHOTS FIRED IN THIS BUILDING. Several prisoners nod. A few take notes. The mock parole board hearings like the one at Lancaster are just a portion of Sister Hodges’s unique prison ministry. The preparation program, called Insight, focuses on helping inmates recognize the reasons for their crimes and express personal change. But her overarching Partnership for Re-Entry Program (PREP), founded in 2002, also takes on the bigger challenge of looking after the lifers if they’re granted parole, guaranteeing housing and other support upon their release. At the time Sister Hodges opened her first home for the newly released convicts in 2008, there was nothing else like it anywhere in California. 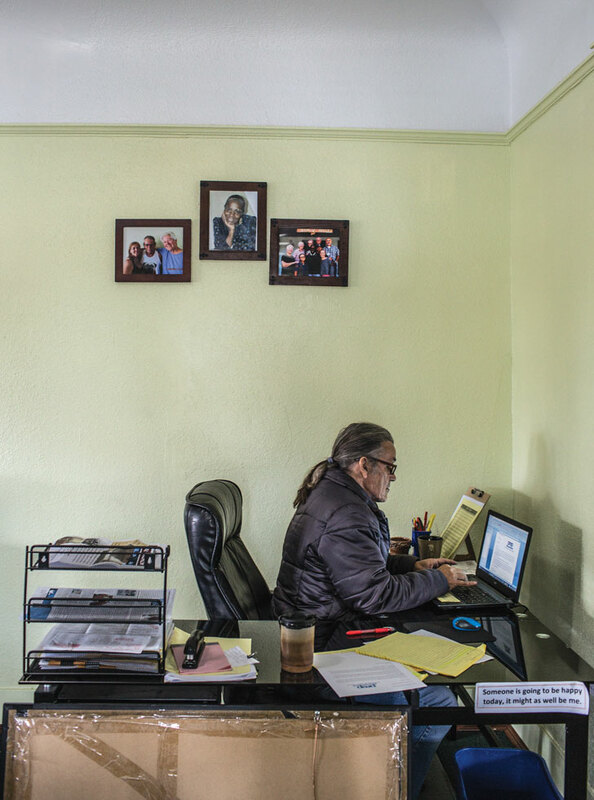 By 2011, there were five PREP homes, all in South L.A. The creation of her program couldn’t have been more fortuitous. For decades California inmates serving life sentences with the possibility of parole were rarely released. But with new laws—as well as a state Board of Parole Hearings and a governor responsive to these changes—lifers are walking out of prisons in record numbers. About 3,000 have been approved for parole during the tenure of Governor Jerry Brown, compared with the 2 released by Gray Davis during Davis’s four-year gubernatorial term. Now inmates in 34 California prisons, along with those in ten other states, participate in PREP. Mary Sean Hodges grew up near Olympic and Crenshaw, one of nine children in an Irish-German family. Her old neighborhood is not far from the homes she’s established for the lifers. She currently lives alone in a small stucco duplex behind a house in Glendale. Her activism was sparked in part by her mother, an early environmentalist who recycled the trash and talked to her children about the importance of conserving electricity and water. Sister Hodges also gives credit to the teachers at her grammar school, members of the Sisters of the Holy Names of Jesus and Mary, and the Dominicans at the high school she attended after the family moved to the San Gabriel Valley. Both orders believe in social justice, in aiding the poor and dispossessed. She was drawn to the Dominican order, founded in the 13th century, because of its progressive values and embrace of modern trends, such as the optional wearing of habits starting in the 1960s. 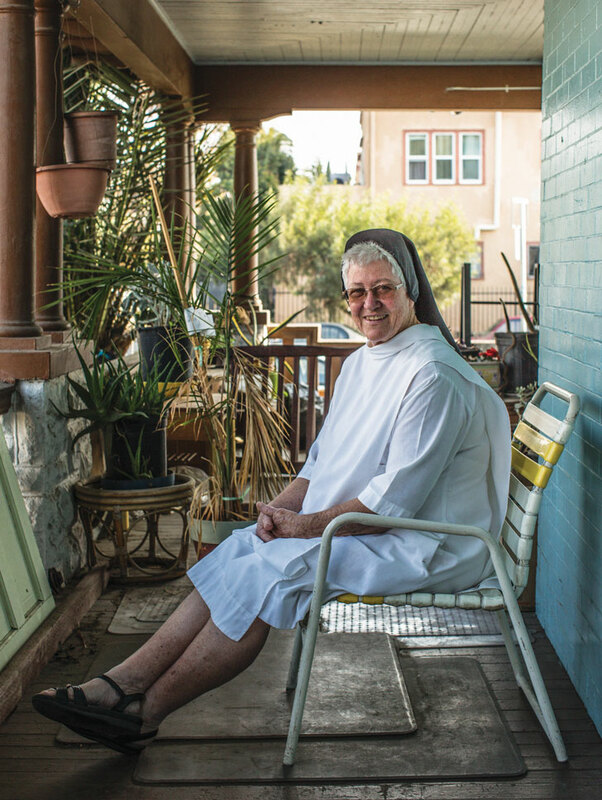 She joined the order upon graduating from high school and spent almost 40 years teaching math, science, and religion and 13 years serving as a principal in Catholic schools throughout California. Sister Hodges was also a dedicated runner, competing in 23 consecutive Los Angeles Marathons, including the inaugural event. She found that long-distance running and spiritual contemplation were compatible. When she turned 60, she decided to leave teaching, but she was not ready to retire; she wanted to find another way to serve. During a spirituality retreat on Long Island, she met a sister with a prison ministry and accompanied her on visits. The director of the L.A. Archdiocese’s Office of Restorative Justice offered her a position to create a reentry program for former inmates. With grants from a few Catholic organizations, she researched reentry efforts throughout the country, then assembled a group of volunteer mentors from a dozen parishes in Southern California. The mentors, Sister Hodges soon realized, were afraid to be alone with the former inmates. So she accompanied the men during their first months of freedom—driving them to job placement centers, trade schools, and Social Security offices, and to obtain their licenses at the DMV. Sister Hodges has a buoyant manner and is accustomed to greeting people with a hug. On her first visit to a prison, she was about to hug an inmate, a lifer with whom she had been corresponding, when the guards stopped her. All physical contact with inmates is prohibited. Early in her ministry Sister Hodges determined that a key cause of recidivism was a lack of housing. The first PREP facility housed eight newly released prisoners as they attended self-help meetings, looked for work, and received job training. Nowadays the parolees spend one to two years “transitioning” to society before finding their own apartments or returning to their families. 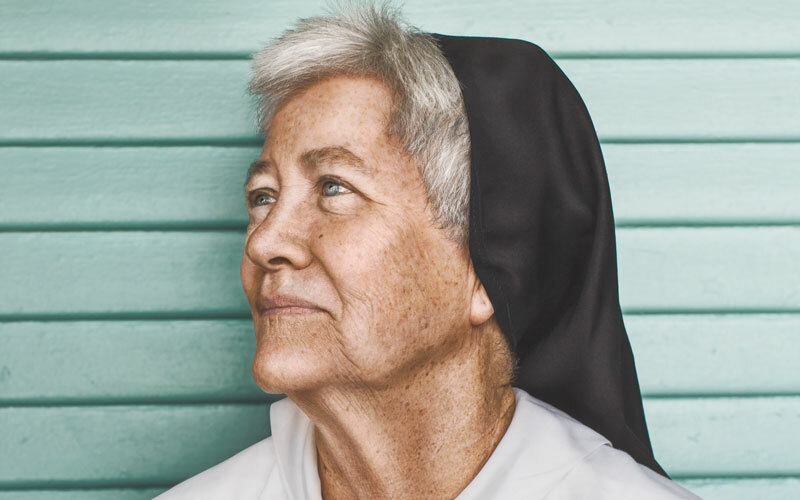 Sister Hodges believes that some of her insight into what a lifer faces comes from one of her brothers, an alcoholic who was in numerous rehabilitation facilities and served time in prison. In addition to the Insight training, she created programs that deal with domestic violence, parenting, anger management, and gang involvement. 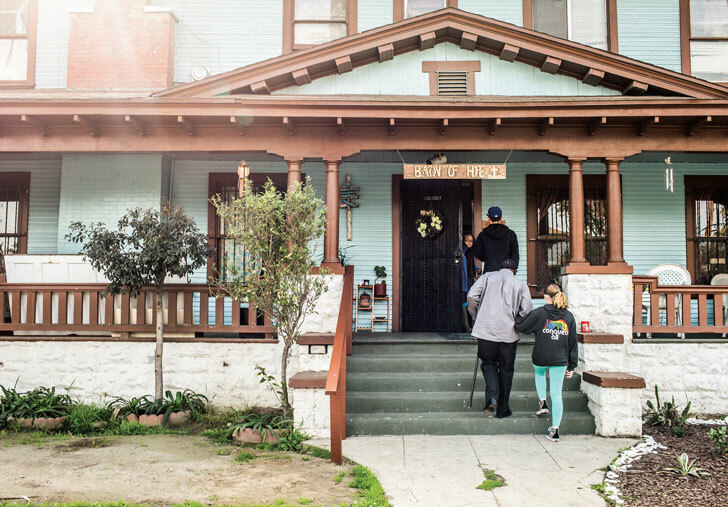 The instruction is run out of a small, cluttered room in a blue Craftsman house in South Los Angeles with bars on the windows, a dirt front yard, and a wood sign above the main entry that reads BEACON OF HOPE. 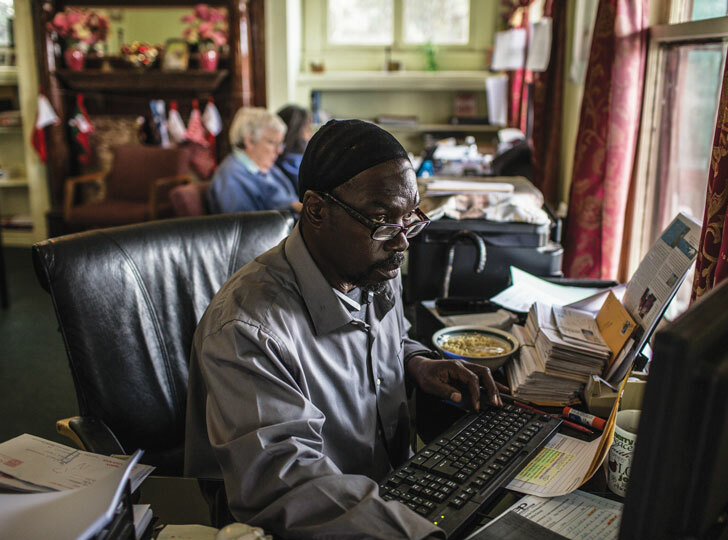 Eight desks are jammed into the small office where Sister Hodges and a half-dozen ex-lifers sift through about 100 letters a day. Lifers complete a lesson, which is usually several pages long, and mail it back. The men either approve the work or ask for more detail while offering feedback. When they complete the 80 lessons, the lifers receive a certificate they can show the parole board. Sister Hodges helps lifers on their parole appeals not as a way to manipulate the system, she says, but to change the way they are living in the present and to prepare for the future. Her goal, she says, is to help the men articulate the changes they’ve made. She realizes that some of the lifers she works with are too dangerous to be released. While she does not advocate for their parole, she nevertheless tries to help them while they are in prison. With its three-strikes law and draconian parole system—one of four states where the governor has final authority on parole decisions—California had long been a national leader in tough-on-crime policies. Shortly after Gray Davis took office, he announced that “if you take someone else’s life, forget it,” then blocked most of the recommendations for parole that crossed his desk. Arnold Schwarzenegger’s approach was less harsh, but he still reversed 70 percent of the parole requests approved by the state board. Jerry Brown, however, has let stand more than 80 percent of the parole board’s decisions, with more lifers released in Los Angeles County due to its size than in any other part of the state. Brown, a former seminarian, has emphasized that redemption is the core of his Catholic faith, and he believes people can change. But the laws have changed as well. In 2008, the California Supreme Court ruled that prisoners could not be denied parole based solely on the viciousness of their crimes. There must be evidence, the court said, that the prisoner continues to be a threat to public safety. Brown was also facing pressure from federal courts to reduce the state’s dangerously overcrowded prisons, and he signed a bill in 2012 that allows some prisoners to petition for resentencing if they had been incarcerated as youths and sentenced to life without parole. That same year voters passed Proposition 36, allowing reduced sentences for three-strikes prisoners serving life sentences for a nonviolent third strike. Some victim’s rights advocates have decried the changes as a threat to public safety, but a Stanford study found that of 860 murderers paroled between 1990 and 2010 who were tracked by the university, only 5 committed new crimes and none were convicted of murder. Criminologists attribute this partly to the average age—the mid-fifties—of the lifers being released. Law was released in 2015, lived in a transition home for six months, and found a subsidized apartment complex in Inglewood for veterans. A small, wiry man with a bushy gray Fu Manchu mustache and a Grim Reaper tattoo on his forearm, he lounges in his small studio, as immaculate as a military barrack. He says his greatest challenge was finding a job. He learned welding, small engine repair, and metal fabrication in prison, but no one would hire him. Last May an ex-lifer buddy told him about an opening for a welder at a metal manufacturing company. The friend vouched for him, and Law was hired. A few months later Law suffered a brain hemorrhage and now relies on veterans’ disabilities benefits. A key element of Sister Hodges’s Insight program is the mock parole board hearings, such as the one she’s leading at Lancaster prison. The inmates watching the session are predominantly African American; a small group of Latino men with shaved heads sit together in the back row. Sister Hodges emphasizes to the group that the purpose of completing the Insight course is to facilitate a real conversion. She demonstrates how to enter the hearing. First she slouches, head down, as she shuffles in front of the prisoners. Then she shows them the correct way: Her posture is erect, her bearing is confident; she looks out and pretends to acknowledge the board members and the victim’s family. Sister Hodges presents the men with a number of questions, including whether they realize the anguish and pain they’ve caused others, if they have remorse, and how they can convince the board they won’t harm anyone again. She interviews them about their family background, their experiences with drugs and alcohol, when they dropped out of school, and how they are giving back to others while they are in prison and how they’ll do so when they are released. As Sister Hodges drives home from Lancaster, an inmate on death row calls her. Before she can chat with him, she loses reception. While she waits for him to call back, she says that the inmate, who committed three murders, wouldn’t be a candidate for early release, as she believes he might kill again. Still, she writes to him and talks with him on the phone. Next articleIs This the Worst Coffee Shop in L.A.?